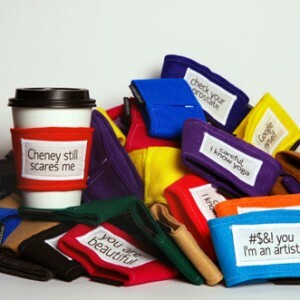 I started making reusable coffee cup cozies with swear words on them because I noticed that people tend to get sassier when they’re drinking their coffee- so I bring the cozies to where sassy people hang out. I still have one of my baby teeth. I play Chicago-style blues harmonica. I have a portrait photography studio in the windy city. My dad says he named me after a solvent and my 10th grade chemistry teacher found out and called me "Methyl Ethyl Keytone" all year. Restlessness. As a kid I was always grabbing things around the house and taping, gluing, or sewing them together to turn them into new things. I can remember taking a bag of cotton balls my mom had just bought and drawing faces on them with a black marker, calling them "my new pet ghosts," and filling a basket with them until the whole bag of cotton balls had turned into ghosts. The next time my mom bought cotton balls she bought a second bag for me. Now I use crafting to reduce stress and take my mind off the long list of things I do each day. 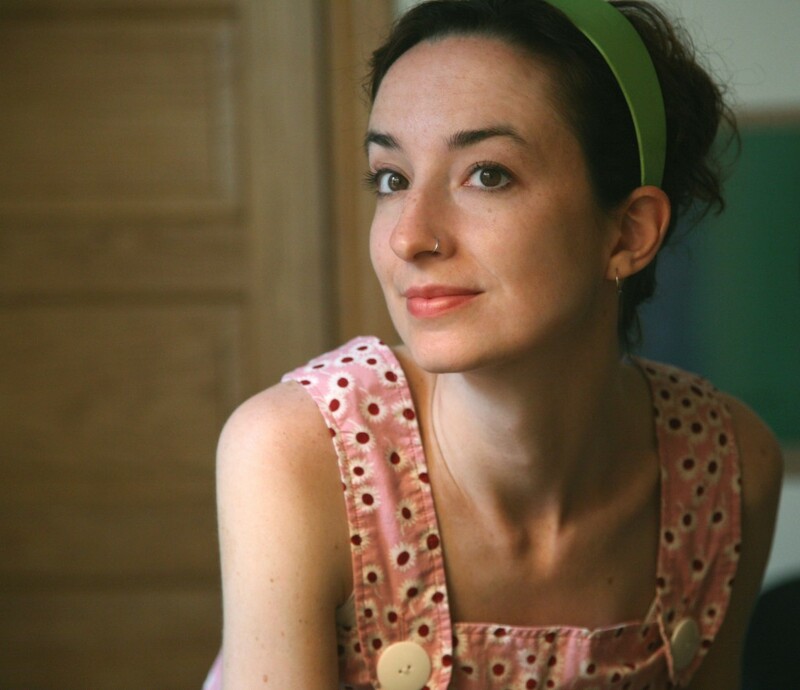 I live a triple life as an independent filmmaker, freelance Producer of Marketing and Distribution in the film industry, and owning my own photography studio. It's great to end the day on the couch with some kind of craft project I can lose myself in and just create stuff until I fall asleep. The corporate world, actually. I spent a little time there and still skirt the edges when I take executive headshots for corporate clients. I find it fascinating yet very frustrating when people don't say what they mean or lengthen what they're saying to make themselves sound more important. 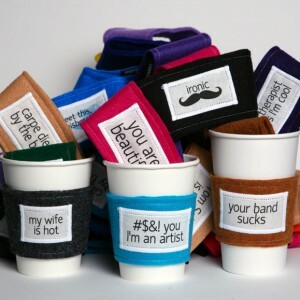 I like statements that just get to the point and fit on a coffee cup cozy. 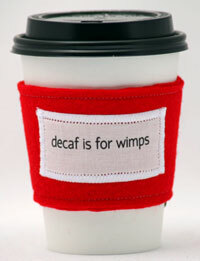 Like, "decaf is for wimps," or "I love Tom Selleck." One of my favorite cozies is "Reduce, reuse, recycle, Numbnuts." It's hard to find reliable recycling in Chicago since the city doesn't really enforce a recycling policy or offer recycling services to all residents, and that really bugs me. I feel like everyone should stop seeing recycling as a warm and fuzzy thing they could do if they're feeling philanthropic or tree-huggy or something. I think it should people should feel like numbnuts if they don't recycle. 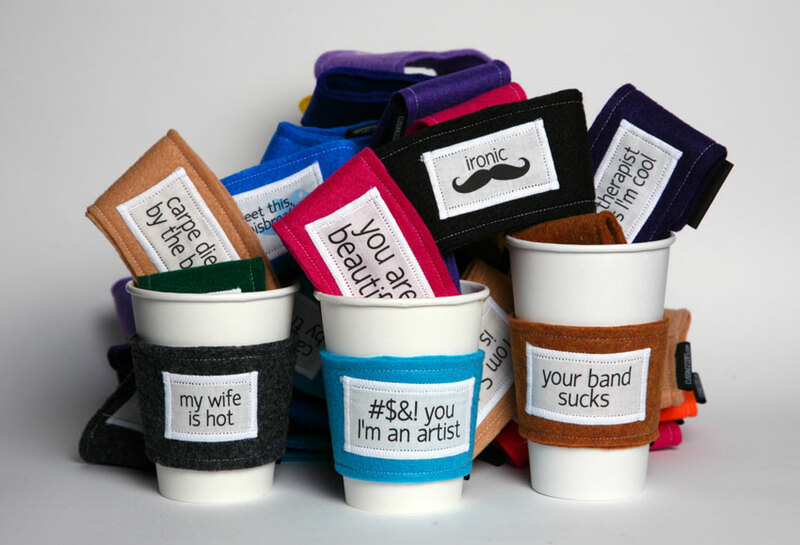 I started making reusable coffee cup cozies with swear words on them because I noticed that people tend to get sassier when they're drinking their coffee- so I bring the cozies to where sassy people hang out. 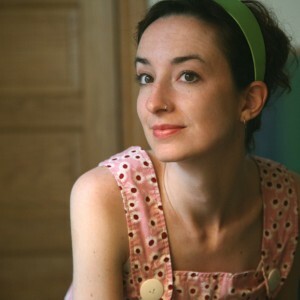 Consignment craft stores, handmade markets, and on my new store online. Handmade goods are so much more personal and when you buy something handmade, you tend to take better care of it and hang onto it longer. When you buy a factory-made shirt, for example, if you get a stain on it you might just get rid of it. But if it were handmade and you even met the person you bought it from, you're more likely to try your hardest to get the stain out, or go back to the maker for a new one. « I have to love it.